A website content management system (CMS) is created so that a user can easily login to the website and make amendments. Content management systems can range from custom built systems to content managed systems created from open source platforms such as a blogging platform such as wordpress or an ecommerce platform such as magento. How can a content managed website help with your internet marketing? Using a content managed system allows you not only to make changes to your website but to update it regularly with news from your business and events you might be taking part in locally to Milton Keynes. With a content managed website any changes you need to make are at your fingertips – if you need to change a phone number or an address, a price you can do it instantly and at no additional cost, we find many of the businesses we deal with in Milton Keynes have not only got to wait whilst their provider makes these changes but they also have to pay for the time of the person making this change. 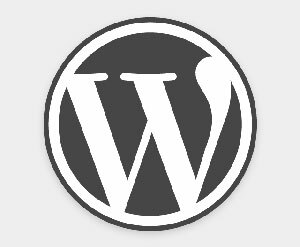 The other additional benefits of having a content managed system is the additional functionality available, at Milton Keynes Internet Marketing we use the wordpress framework to create websites that are completely tailor made to the customer requirements. If you are in need of something specific or would like to be able to update your websites content yourself then please don’t hesitate to contact us and we should be able to point you in the right direction. As digital marketing experts what can we offer businesses in Milton Keynes?